i love that paper too! good luck with your studying. i am planning a vacation and hoping to get some scrappy time this weekend! Beautiful and heartfelt layouts - I love them both! Good luck on your exams. I love that paper, too, Keshet. I got an extra just in case. Your layouts are gorgeous - I haven't even tapped into last month's kit yet, I'm so behind. 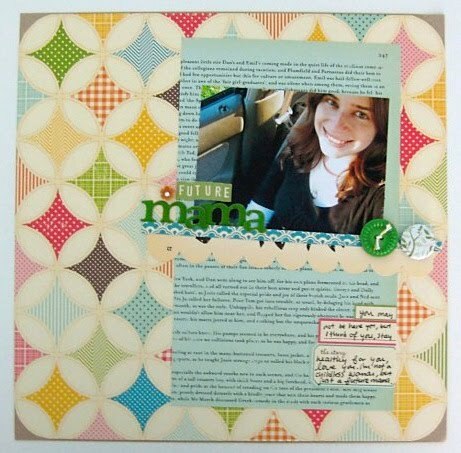 Your heartfelt layouts are inspiring me to get going! I love your layouts! That pic of your little sister is precious! I love the kit too! Great layouts! Oh I can't wait to get the kit! I feel like I always get is just as everyone is getting hyped for the next kit! Fun Layouts! Not a deep dark secret, but I would love to be a SAHM! We need to win the lottery first. We could live on my salary but not the one from hubs! TFS! both of these are beautiful keshet. I love them. And the layouts with the most personal journaling??? - those are always my favorite. Awesome layouts! Thanks for sharing the personal stuff! I haven't had time to play with my kit yet. Love these layouts! Thanks for sharing the personal stuff, something that I don't have the guts to do just yet. Good luck on your exams!! 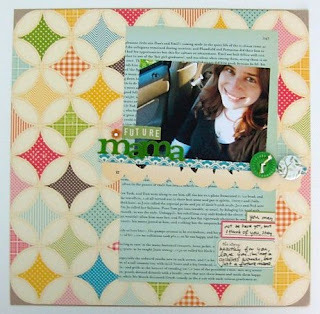 LOVE the colors on the first layout and what a great accent the patterned circle makes. Wow, Keshet -- these are terrific layouts, not just in their color and design, but in their sentiments. keshet, these are awesome as usual! love 'em! Love the sentiment behind both of your pages!